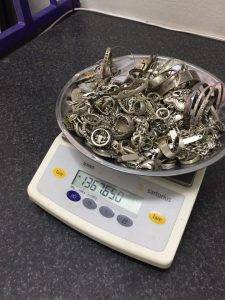 The first thing we do when you bring your silver jewellery to us, is we check the purity and the weight of the silver. We do this by locating a stamp on the jewellery which is .925. If there is no stamp, we do a quick analysis using our XRF ANALYZER. 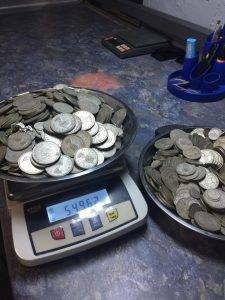 We then separate the items by the purity of the silver content and weigh them to calculate your payout based on the current market price — that’s it! This service is absolutely free and there is no obligation to sell. We also remove any stones at no additional charge. 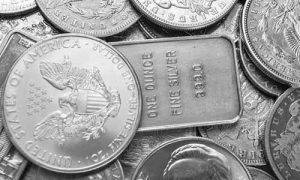 We also buy all Silver broken jewellery.